The Server Battle Cannot Be Defeated! Are you a Netflix user? Are you also a customer to a VPN server that can’t stand up to Netflix? 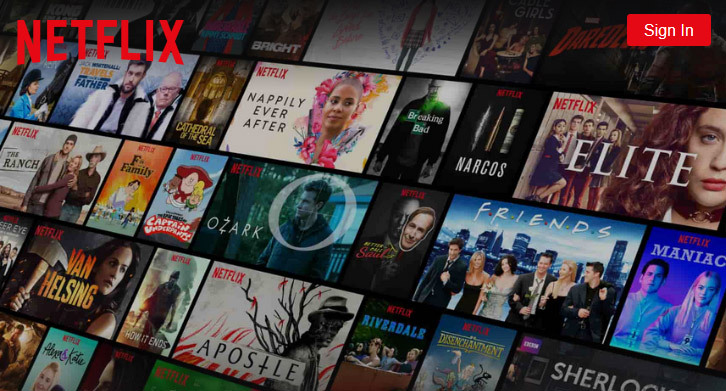 Netflix announced a crusade against VPNs and the entertainment platform went on a rampage causing many VPN services to stop fighting back. The good news in this mess? VPN users who are also Netflix fans can find VPNs that are still going strong. One of those VPN companies is NordVPN. NordVPN has thousands of servers that are always growing around the world. These ever-growing servers make it harder for Netflix to keep up and take them all down. The question of the day is, how does NordVPN keep unblocking Netflix allowing you to enjoy all your favorite movies and shows that Netflix offers? You can find that answer below. NordVPN is among the most popular VPNs on the market today. Here are the top 3 reasons why NordVPN is perfect for you to stream shows from Netflix. The growth in servers was mentioned earlier, that is the number one reason why NordVPN is able to sneak pass Netflix. The company now has the fastest growing server roster in the world, and every year, it buys new ones in different locations. With this range of servers, you can access virtually any version of Netflix that you want. Because of its speed, NordVPN is one of the most significant players in the industry. The amount of servers that NordVPN provides is the reason why the company can offer lightning fast speeds to its customers. 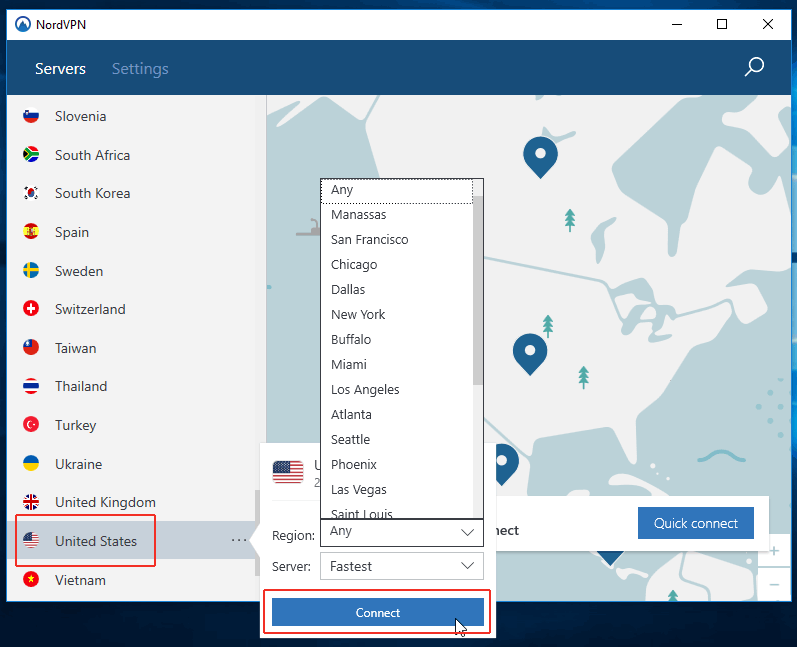 When using NordVPN you have the choice of servers in different locations, can switch between them as many times as you like in order to find the best one for you. NordVPN also tailors its servers for video streaming. The company offers specialty Ultra Fast TV servers which are great for watching shows on Netflix without buffering. NordVPN comes with a feature by default called Dynamic DNS. NordVPN also has a unique SmartPlay feature that combines a VPN service with Smart or Dynamic DNS. These two features allow you to enjoy geo-restricted content with the fast speeds of Dynamic DNS. The best part about these being default? There isn’t any additional downloading and setting up to do, other then NordVPN itself. No matter where you are around the world, NordVPN hides your IP address so you can access geo-restricted content. You can also connect to an Onion Over VPN server, and NordVPN will reroute your internet traffic via a VPN server followed by the Onion Router. 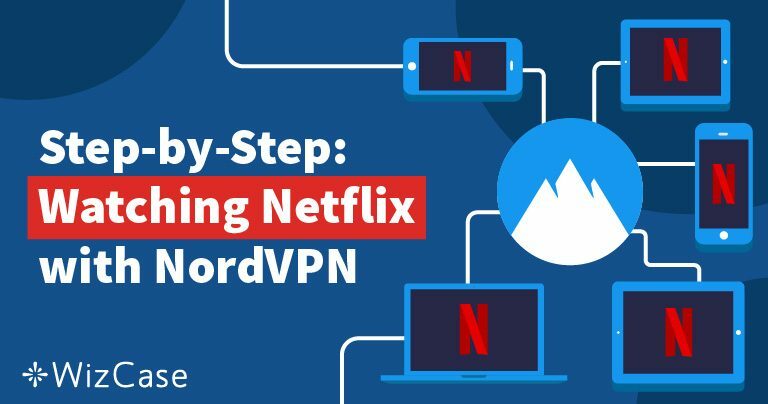 The steps to using NordVPN to access Netflix is easy. 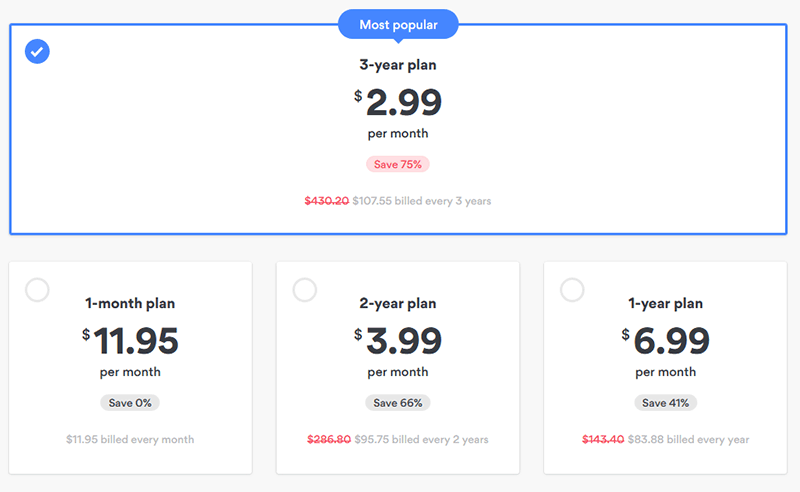 By visiting the NordVPN’s website , you sign up for one of the company’s plans, followed by completing the application on your device and look for your preferred server. To select your server, it’s worth contacting NordVPN’s customer support. They’ll tell you which are the specific US servers that will offer you access to Netflix. 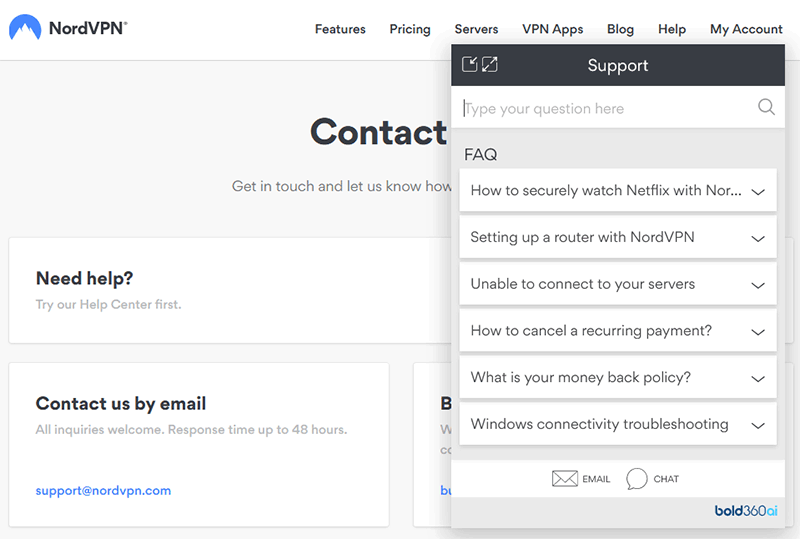 If you don’t want to contact customer support at that time, you can visit NordVPN’s support page which will help you successfully watch Netflix. Also, you’ll find a list of all the US servers. Once you have chosen your server, just click on the “Connect” button. From there, sit back, relax, and enjoy your favorite shows and movies that Netflix has to offer. The closer the server, the better the performance. By choosing the server closest to you, you can enjoy high speeds and high definition. This means that if you’re in Europe and you want to access American Netflix, connect to a server on the East coast rather than one in California. NordVPN automatically connects you to the server with the least users. However, if you manually connect, make sure you select a server with the least amount of users on it. The fewer users on the server, the more high-quality streaming you’ll be able to enjoy. 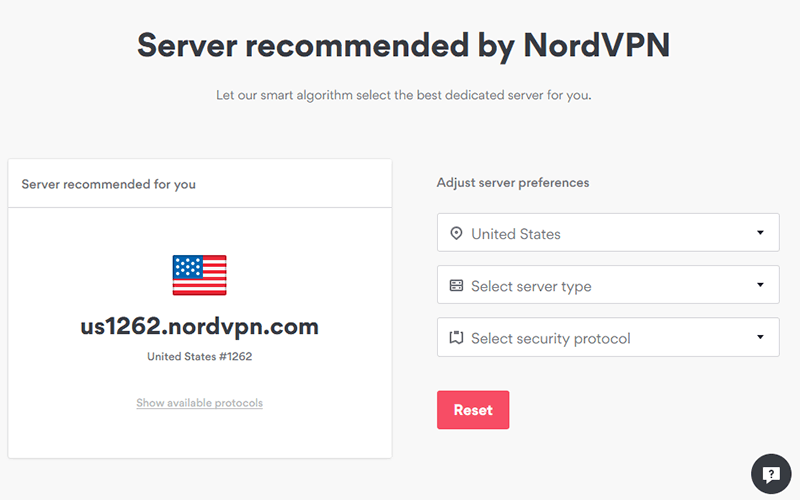 The convenience of NordVPN automatically connecting you is nice, but it may not know that there are better servers to choose from. You should try different ones, especially with Netflix continually blocking new servers. So if you have problems with one, simply switch to another. The customer support team at NordVPN is impressive. The company has around the clock live chat as well as email support. From experience, it takes the email support team less than 24 hours to get back to customers. 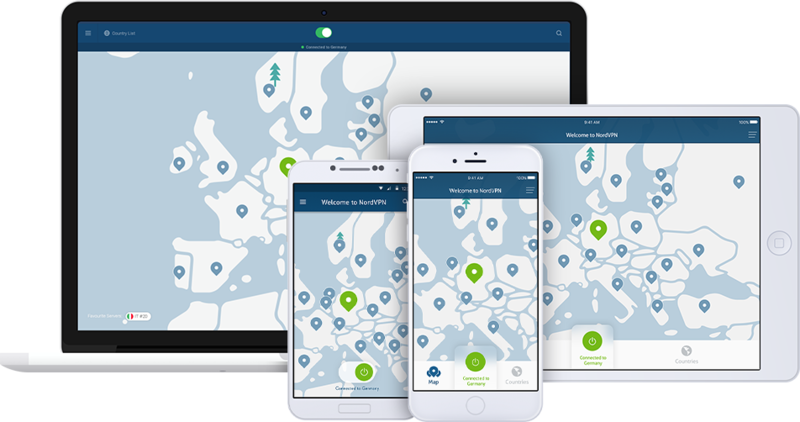 By using NordVPN , you will be able to benefit from the ever-changing servers that NordVPN provides. These ever-changing servers are what helps you access Netflix who blocks VPN servers daily. Through the right server with NordVPN, you will be able to stream shows on Netflix. With this in mind, it’s crucial that you try different servers. Familiarize yourself with the application and don’t forget that the customer support team is on hand 24 hours a day, 7 days a week.